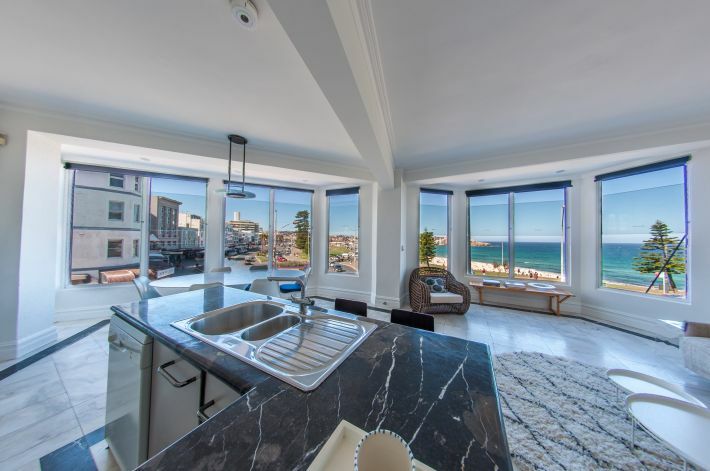 First class apartment on Campbell parade, with soaring ceilings, marble finishes throughout, windows which capture the sun all day … This exclusive listing also boasts a sleek, north-east facing kitchen dinning and lounge area with exceptional 180 degree views of Bondi Beach. 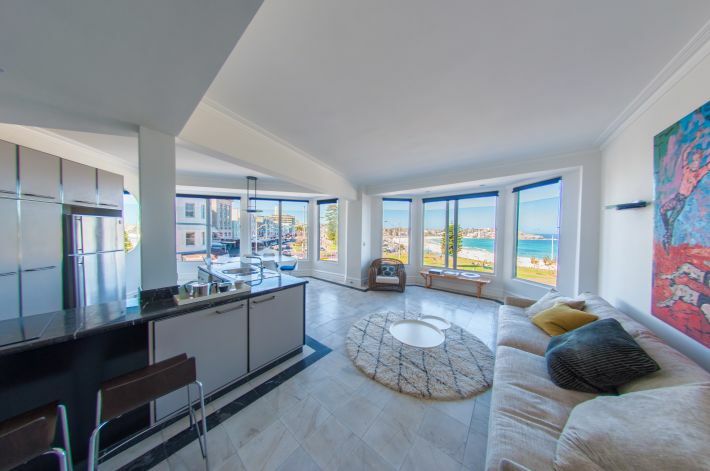 Be enticed by the view of the Dolphins and Whales playing in the surf. No better position. No better place to be! The oversized main bedroom, complete with a jacuzzi and built-in wardrobe, shares the same exceptional view as the living area. 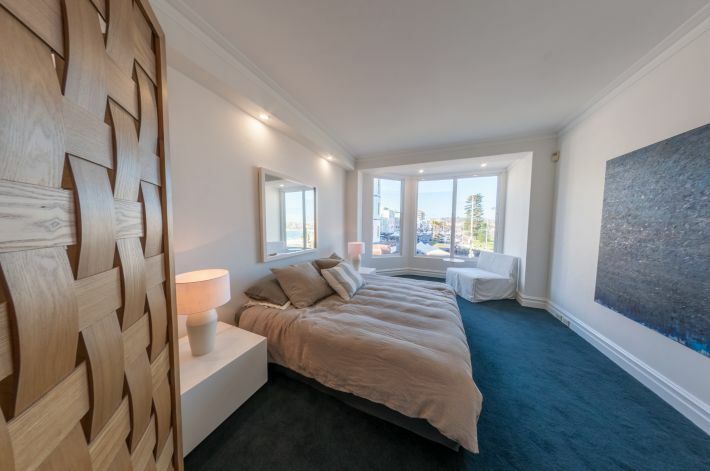 The large second bedroom also has a built in wardrobe. The 3rd room is a study or possible guest bedroom. There is a Spanish style bathroom with His and Hers vanity basins. 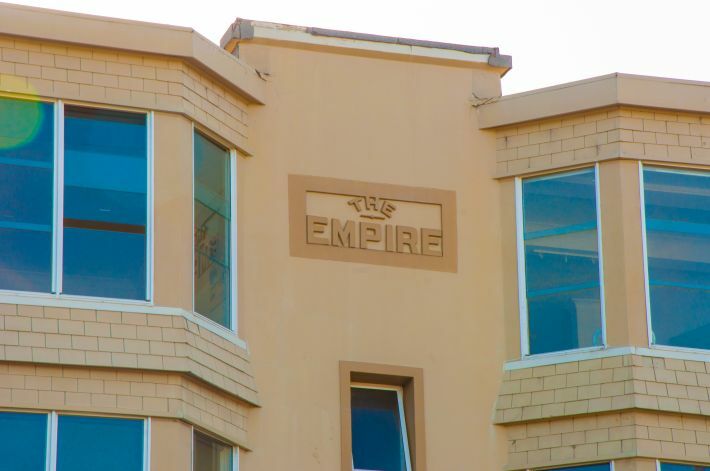 Security intercom, internal Laundry, and storage in abundance. 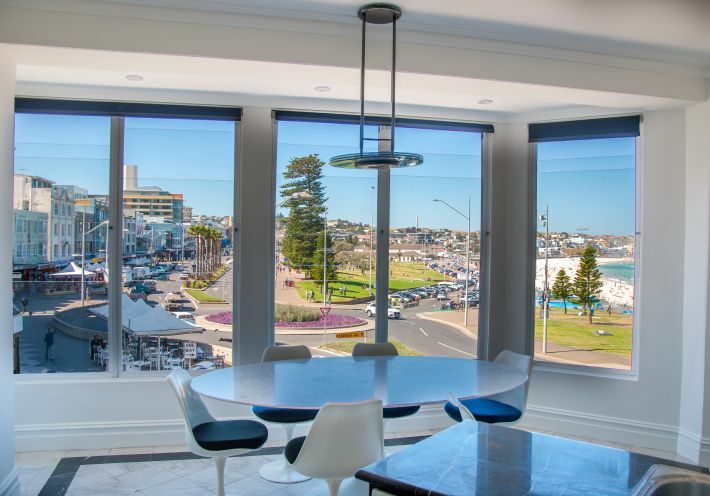 A fabulous location with Restaurants, cafes and lifestyle. Walk the famous Bondi Walk to Bronte beach and beyond, capturing in the scenic Pacific Ocean and magnificent cliff edges, or stroll along the beach; whatever time of day, a romantic sunset walk, a invigorating morning jog, refreshing dip, enjoying the surf. 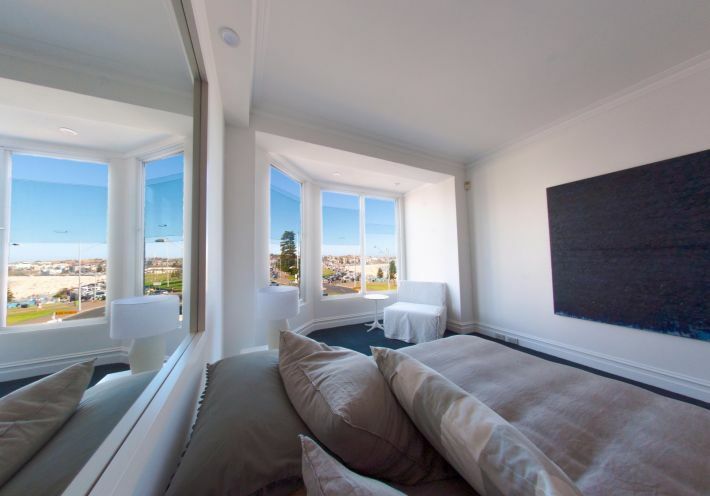 Maybe its Golf on the cliff tops, shopping in the heart of Sydney only 10 minutes away? Whatever your choice, lifestyle is the key. 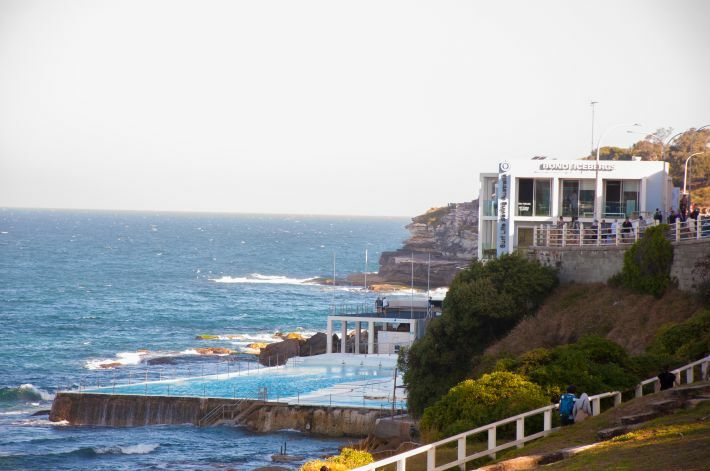 Find out what makes Bondi Famous, and stay at the best to enjoy arguably Sydney’s best beach.